A dodecahedron is a three-dimensional shape with 12 flat surfaces as sides. Each of the 12 sides has five edges, meaning dodecahedrons are made of pentagons. You can demonstrate this polyhedron by telescoping straws one into another and building pentagons, then taping 12 of these pentagons together with three meeting at each point. 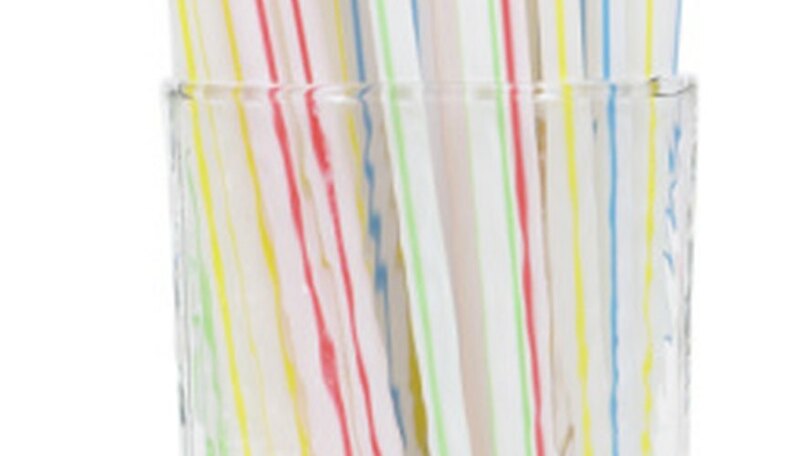 Fold the short end of each straw in half and slide it into the long end of another straw. Form a chain of five straws by doing this to each one. Bend the chain of straws at each flexible joint so that the short end of the last straw can slide into the first straw to make a closed pentagon. Make eleven more pentagons in the same manner used to create the first. Lay one of the 12 straw pentagons on a table. Lay another pentagon against each of the five sides of the original pentagon. Tape the pentagons together where the flat surfaces meet. Repeat to make the opposite side of the dodecahedron. Line these two sides up and tape the edges together. 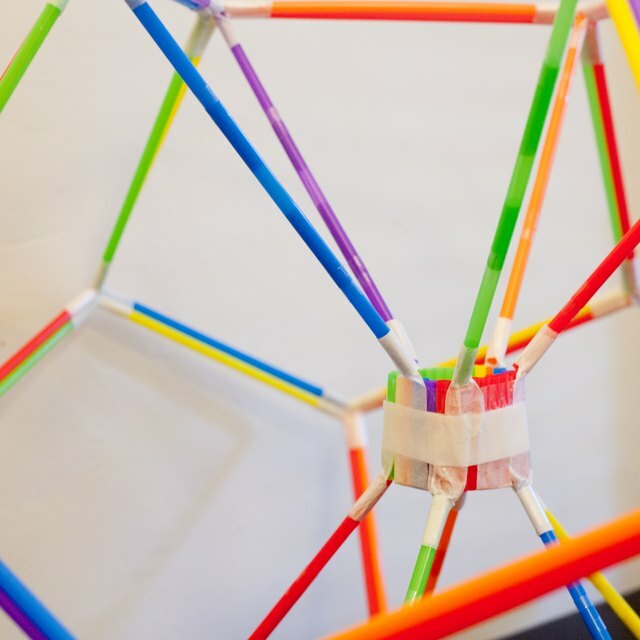 As you tape the sides, the straws will be forced to form a 3-D dodecahedron. Leah Newman has been a professional writer since 1999, writing about fine arts both in print and online. She specializes in how-to articles covering DIY projects. Newman holds a Bachelor of Arts in English from the University of Georgia and a Graduate Certificate in Children's Literature from Pennsylvania State University. Newman, Leah. "How to Construct a Dodecahedron With Straws." Sciencing, https://sciencing.com/construct-dodecahedron-straws-8591266.html. 24 April 2017.